I bought this Dragon Eyes Mystery True Beadz at the Bead Bash as there were several beauties to choose from. I love the depth of the indigo colours and where the air bubbles are placed. Of course, it looks fab surrounded by True Touch Sky Blue beads. Then I added in some True Touch Lilacs. So I thought why not add some more purple beads. 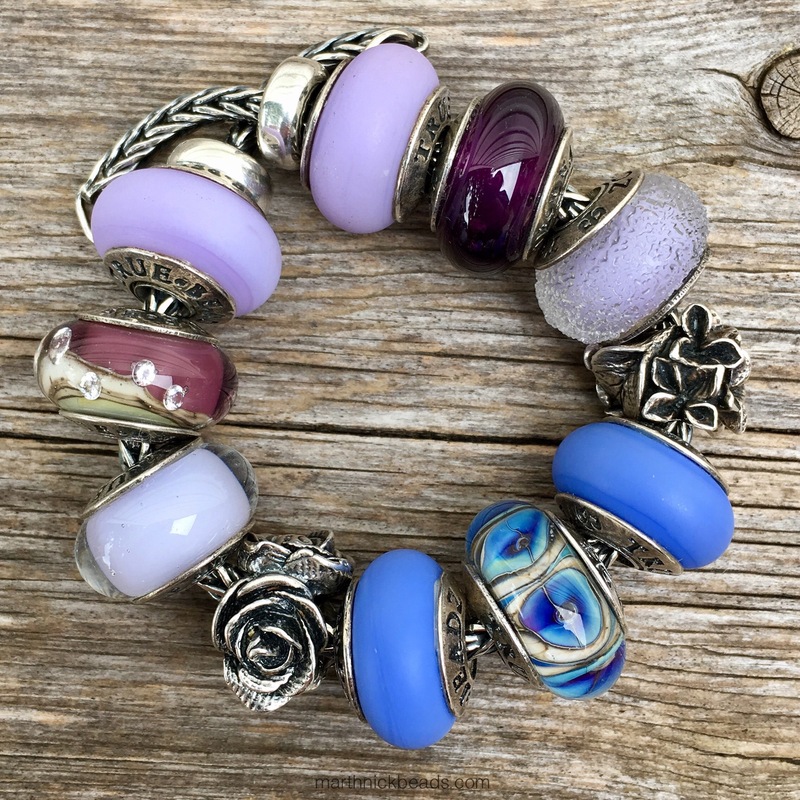 Clockwise from the top right are Touch Lilac, Almost Amethyst, Taste Lilac, Lilac, Touch Sky Blue, Dragon Eyes Mystery, Touch Sky Blue, 3 Roses, Air Lilac, a Treasure and Touch Lilac. Here is a bangle which is a bit busy looking but I think it’s also interesting. Top to bottom are Alchemy Waterfall, Lotus, Dragon Eyes Mystery, True Beadz 2016, a Treasure, Shells n’ Star and Alchemy Breeze. After I took these photos I thought, wow, that’s a few different looks with only using True Beadz! So I looked in my bead box and found a couple of non-True Beadz to match up with the Dragon Eyes Mystery. The Elfbeads Nebula Gold Sprinkles and Trollbeads Facted Aurora make a nice addition to the Dragon Eyes Mystery. 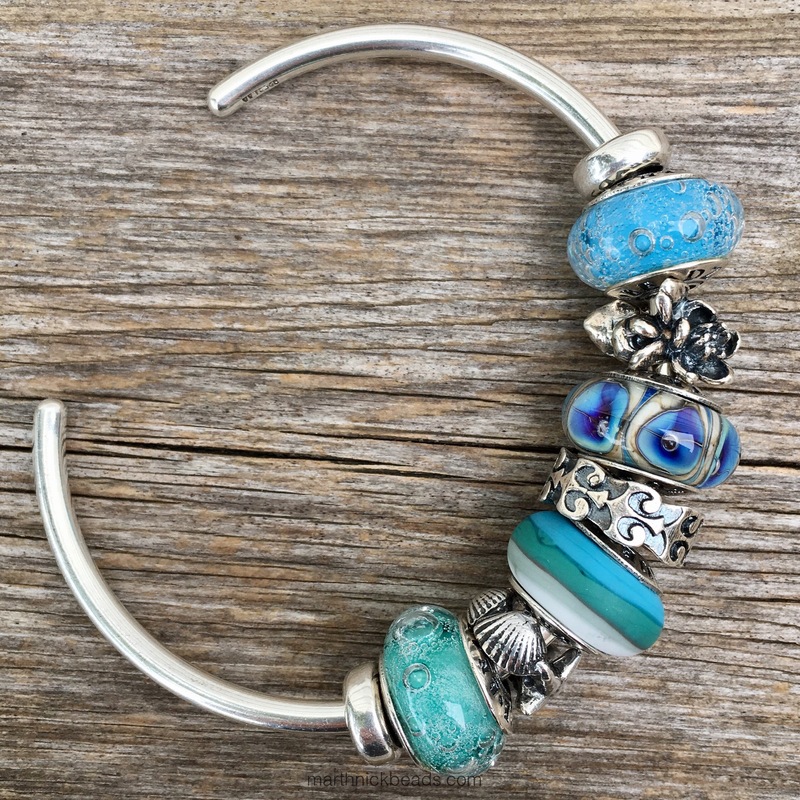 I’d be curious to hear if anyone else has this bead and what you’re pairing it with. Or is it one for your wish list? Coming up Monday is another travel/bracelet post, India Inspired, featuring the Redbalifrog Ganesha. So good to start a week with this beautiful post! I couldn’t buy any true treasure until now, but didn’t give up!! Good week for you! Lovely spring monday morning in Brazil!! Glad you enjoyed this on a spring morning-perfect! What True Treasure did you get? Have a great week too, Carla! As you know I bought one at Bead Bash, too. 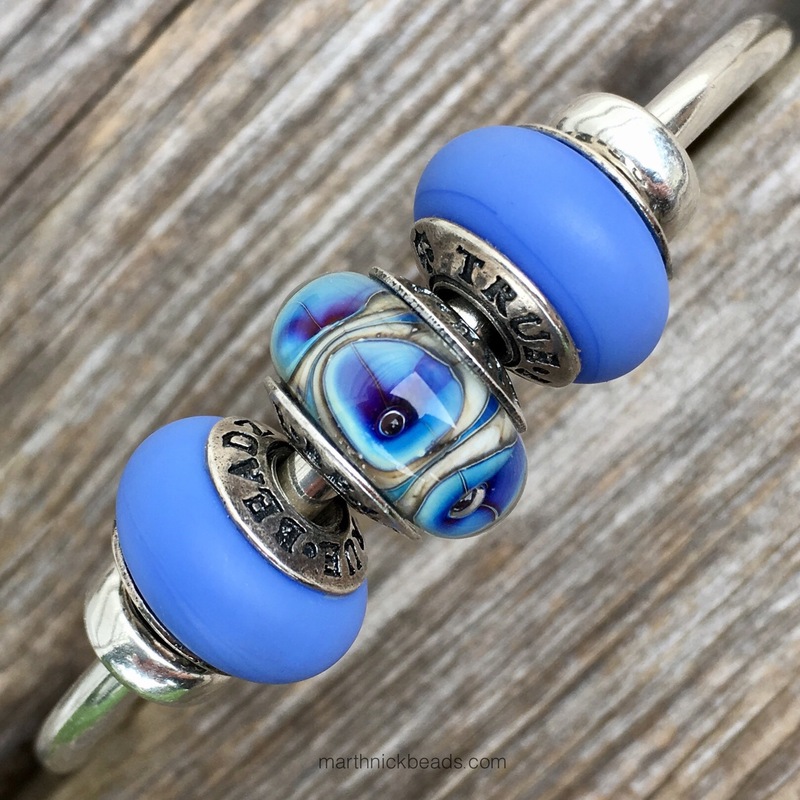 I love the combo with True Touch Sky blue, all three beads glow! 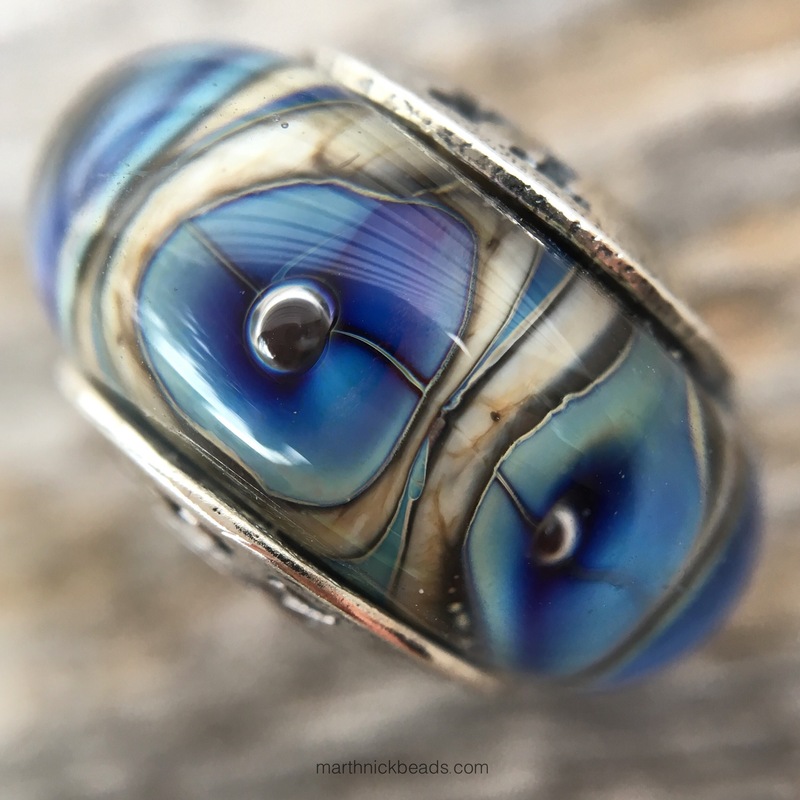 I am working on my Truebeadz list today thanks to this lovely post. Sarah, I will need to see yours again sometime as that weekend is now a bit of a bead blur! I’m working today and tomorrow but will pop into your store on Wednesday to say hi before seeing Macbeth. Have a great day off! Thanks April! I love beads like this that have a few colours in them. I am leaving for London soon! I will look forward to your visit on Wednesday. You will love Macbeth! 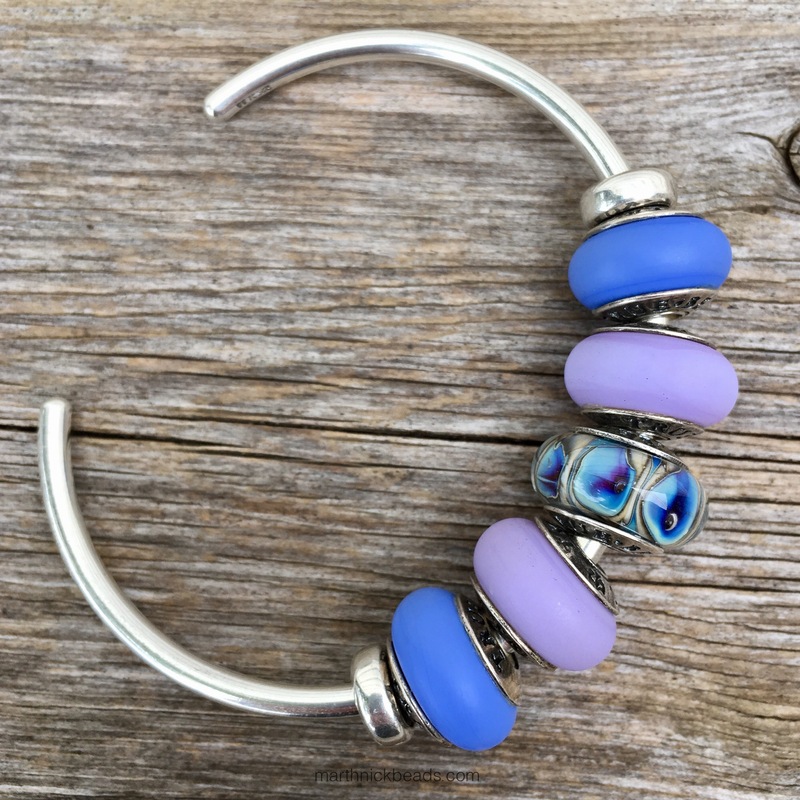 I love what you did with the blues and purples. I guess I’m going to start a Truebeadz collection now! 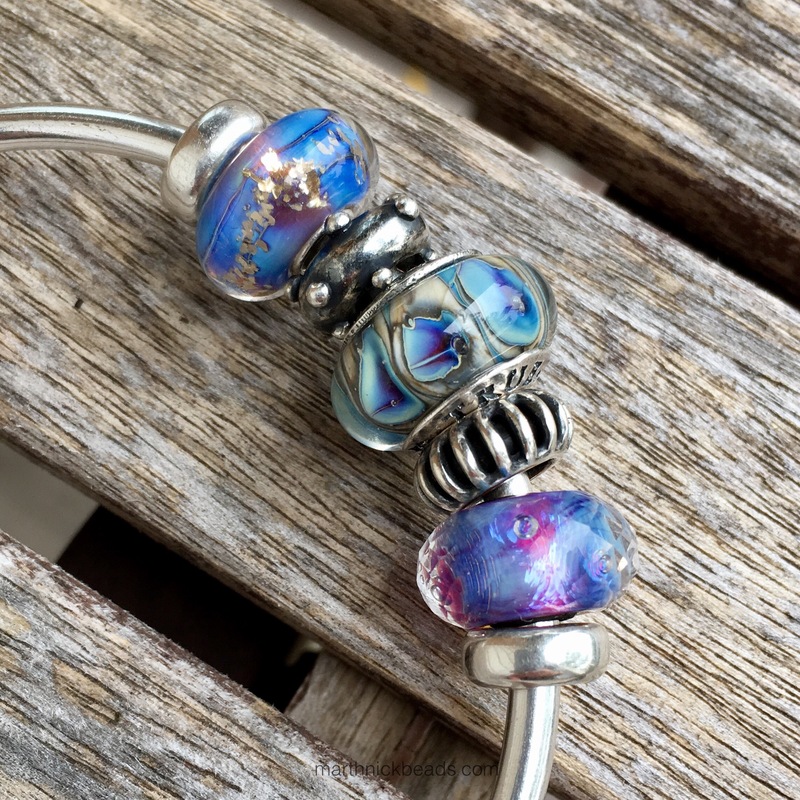 A few months ago when I started collecting it was going to be “just Pandora”.Then I discovered Trollbeads…. and Ohm… and Redbalifrog…. Suzanne, that was me too! 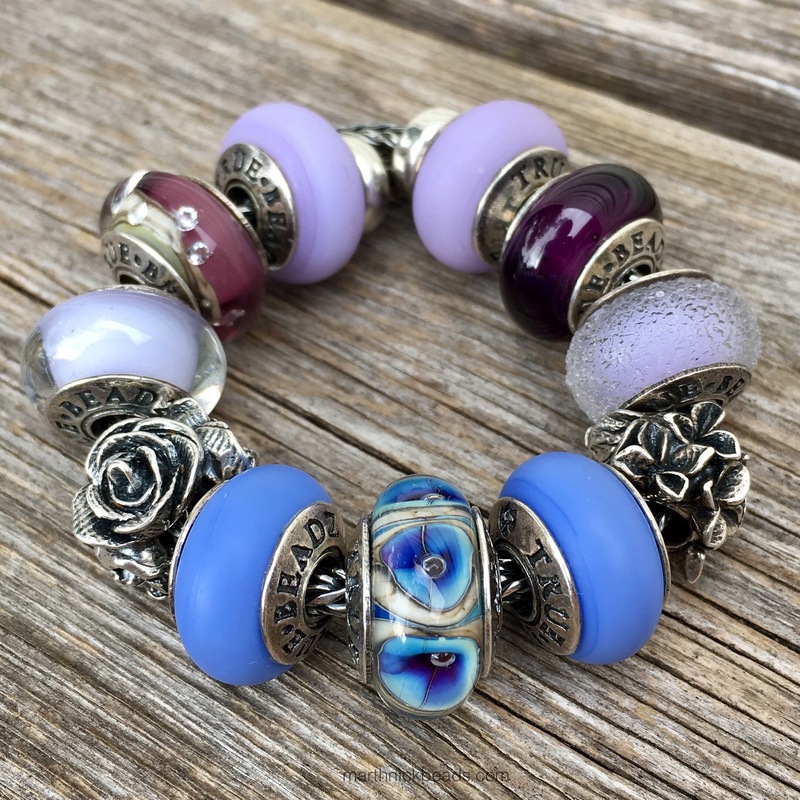 I got my first Pandora bracelet for Mother’s Day this year and I already have a couple of bracelets and bangles plus a zillion charms and have now also got a few Trollbeads and OHM, and my first True Beadz are in the post from the GLB Bead Bash and I also have some Redbalifrog on my wish list. And I need to send my car to the mechanic but who’s thinking of that, right? Thanks so much, I’m glad you enjoy the blog! I just find beads to be so much fun to play around with, making different combinations. It’s hard to get tired of it! Thanks Carol, it really does match up with a lot of beads! There certainly are a lot of nice beads out there. And I love the Chamilia ones I bought the other day on clearance! I am looking for a Tower from True Beadz, anyone can help me to locate one,please?